Surely you must be aware of the benefits of cleaned tile and grouts. They are endless. But do you wonder, why you need professionals for tile and grout cleaning? Well, the reasons are again endless. Your tiles and grouts need special care to keep looking new that in turn helps in maintaining the fresh and clean look of your home. Overlooked tiles become dirty and mouldy and contribute to the unhygienic environment in your home, which create health issues all around. Professionally cleaned tiles make your home a better place and minimize the risk of health issues around the home. Professional tile and grout cleaners are trained to clean your tiled area to perfection. They have the equipment, cleaning solutions, and most importantly the skills. Experts clean your surface the way that cannot be achieved using homely conventional methods. They are ought to clean your tiles and grouts and make them shiny and sanitised once again. They even clean hard to remove grime and stains from your tiles, with the special cleaning solutions. Cleaning your tile and grouts your own can take most of your efforts and time, but for the pros, it’s an easy job that they do regularly. The areas like the bathroom and kitchen are more prone to the mould growth that causes many health hazards, and at times it can be life-threatening as well. It causes breathing problems and allergies that may lead to coughing, sneezing, shortening of breath and more. Besides mould, there are a plethora of germs and bacteria on your tiled surface that degrades the environment and contribute in many health issues. But professionals can help with that too. They possess special cleaning solutions that remove the mould off your tiles and make your bathroom sanitised. You don’t realise but the tile and grout cleaning that you do at home is way more expensive than the professional services. It takes most of your time,and you know, time is money. 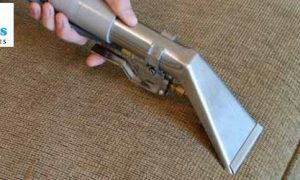 The professional services clean your surface very effectively and save you from monthly cleaning. 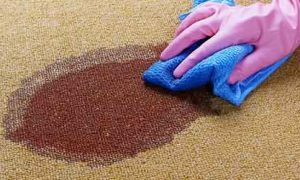 Plus, the cleaning solutions you use do not guarantee the proper cleaning, but professionals cleaner ought to deliver you the guaranteed cleaning. The porous nature of the grouts attract the dust, dirt and grime and also become a breeding ground for germs and bacteria. All these contaminants degrade the quality of your grouts and tiles. Plus, the natural colour of the tiles get covered with a yellowish layer, make your tiles discoloured. But the professionals use their best tricks and skills and bring your tile areas to their original condition by removing the accumulated dirt and allergens. 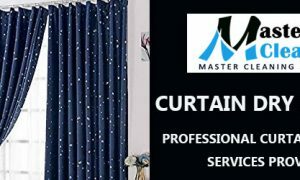 The team of Master Cleaners Service has a team of experts who know how to bring the best results from your dirty tiles. We use eco-friendly tile and grout cleaning solutions and are equipped with the latest devices that makes tile and grout cleaning task much easier for us. We are also available for on the booking of the same day of booking that too, without charging extra. Hire us today and know why are the best.